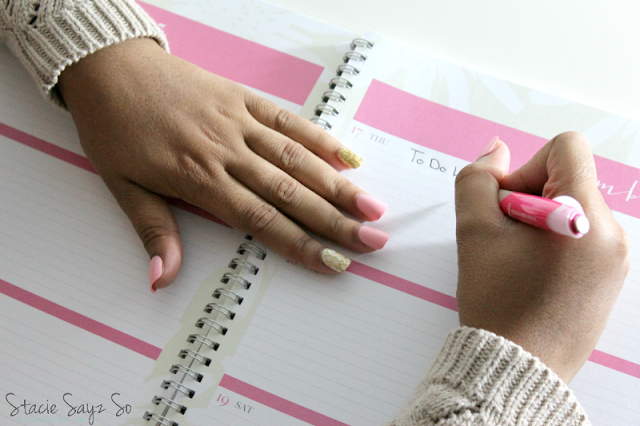 As a busy mom, I'm always looking for quick and easy ways to do my nails. Plus, I can be rough on my nails because of cooking and cleaning. I need nail polishes that won't chip and give a long lasting manicure. Insert imPRESS Press-On Manicure Nails . I was sent samples to review. 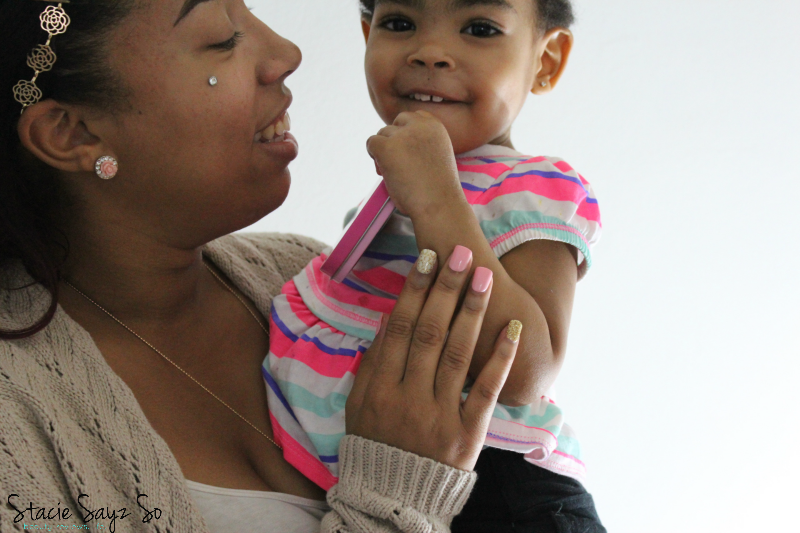 Since my nails are too wide for this product, I decided to ask Lipgloss Agenda (my daughter) to review them. She's a busy mom of a toddler so I thought this would be a great way to put Impress press on nails to the test. My daughter just loved the new styles of the manicure. She's into accent nails so these kits were perfect for her. She planned to go swimming the next day, so she applied nail glue for added protection. They did eventually pop off though. The next pack, she didn't have the time to keep pressing them on for 30 minutes like the directions say and they popped off that day. But because she really liked the press on nails, she just added some more nail glue. I personally thought these were so cute and it was too bad that they were to small. Someone needs to make press on nails for wide fingers! Bottom line? Impress Press On Manicure nail kits are super cute, but won't last if you don't use some type of nail glue. And don't forget to follow Stacie Sayz So on Instagram as well! 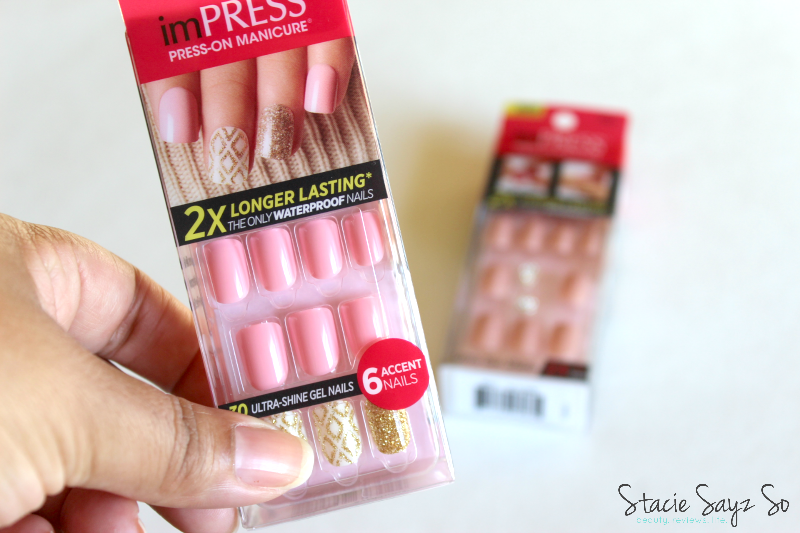 Have you tried Impress Press On Manicure before? Thanks for your honest review. I've always wondered about them. Have you heard of Jamberry Stacie? I just saw they offer more sizes & are applied differently. Your welcome Theresa! I've heard of Jamberry. Isn't it like a sticker? Seems like those are hard to apply. I was going to say Jamberry might be a better option. They are actually super easy to apply. My cousin is a rep, and she let me review them. I have a video on my YouTube channel showing how I apply them. Once you do one, you are a pro! Beautiful design. They seem to come with a lot of variety. Yes! The ones I've been seeing are so cute. Nice!! I will give these a try. I know everyone these days opt more so for the acrylic/gel tips, but I like being able to just switch it up as needed, especially since I'm not a huge fan of wearing false nails to begin with. Thanks for your honest review. These press on nail designs are really cute. I was not successful in my attempt to use them. Combine shaky hands with bad hand eye coordination. I think they are cute for kids but I probably wouldn't try them out myself. I keep my hands in water and they wouldn't stand a chance. I love the design on them. I don't have wide nails, but they are long, and sometimes the press ons don't fit me. If they fit your nail bed these press ons can be a great last minute mani solution. These are super cute. I'm always in water with my kids but I would wear this for a night out. Thanks for your candid review. The nails look really nice. I may have to try these. Thanks for sharing.